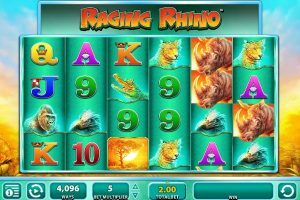 A slot creation by WMS Gaming, Raging Rhino takes you on a wild adventure through Africa to meet these magnificent animals located in Botswana, Malawi, South Africa and Mozambique. These rare species are classified as critically endangered, and therefore it’s a nice gesture from WMS Gaming to feature these incredible animals on their reels to ensure these beautiful creatures never become extinct. To honor this animal on the reels, the Raging Rhino video slot comes packed with lovely sound effects straight from Africa with high-quality graphics, large payouts, and a jackpot bonus worth 250,000 coins up for grabs. You will never forget taking a safari trip through Africa as you experience the thrills, and walk away with a lucrative amount of money. The background of this video slot, is a gorgeous scene presenting the African wild lands covered in rich gold and its beautiful skyline surrounding the reels. The symbols have been featured in front of a light green backdrop adding a calming effect while you play. The betting platform received the same color coating, making this a very relaxing game that can be enjoyed for hours on end. Once you press the spin button, the reels will instantly expand to fill the foreground and will also hide the sunbaked background. 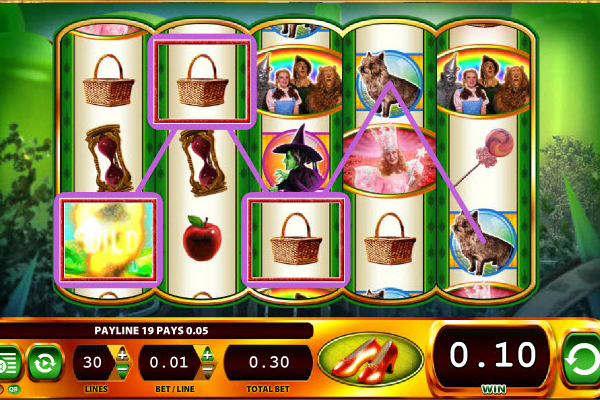 The game received a 6 reel layout with 4,096 Ways to Win. The high valued themed symbols are a wide range of beautifully drawn animals including a bush pig, a crocodile, a gorilla, a leopard and of course a rhinoceros. The lower valued symbols are your usual high playing card numbers including 10, jack, queen, king and ace to complete the collection of standard symbols. Raging Rhino features one of the best formats to win due to the fact that it offers you the opportunity to create winning combinations from any symbols that simply touch one another. 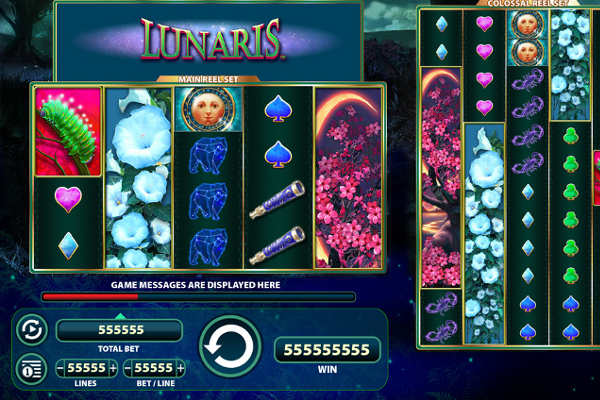 It has 4,096 different patterns instead of the common predetermined pay line structure of traditional video slot formats. The beautiful sun setting behind a tree symbol acts as the wild symbol and will gladly replace all other symbols to create winning combinations, except the scatter symbol. The wild symbol only makes an appearance on reels two and five. The huge sparkling Diamond icon acts as the scatter symbol and needs to occupy at least three positions on the reels in order for it to reward a payout. It can make an appearance anywhere on the reels, and you can land up to six diamond scatters to activate the free spin feature. Displaying three diamond scatters will award you with 8 free spins, four diamond scatters will award 15 free spins, five diamond scatters will award 20 free spins and six diamond scatters will award 50 free spins. If a wild symbol assists in creating a winning combination, it will multiply your winnings by 2x or 3x. You will also be able to re-trigger additional free spins by displaying a further two or more diamond scatters on the reels. The Raging Rhino video slot provides fixed pay lines, and due to this, there’s limited player interaction required. This video slot is action packed with exciting bonus features and of course the numerous ways to win instead of pay lines, create almost endless opportunities on the reels. The unbelievable graphics and mind blowing sound effects, together with the high payouts truly makes this game a must play for all who enjoy a bit of a safari when they are searching for something unique and enjoyable.